Ephemeris for Tuesday, February 12th. Today the Sun will be up for 10 hours and 18 minutes, setting at 6:06, and it will rise tomorrow at 7:46. The Moon, at first quarter today, will set at 2:03 tomorrow morning. This is just nuts. When the New Horizons spacecraft got around behind the body nicknamed Ultima Thule New Years Day and took a crescent view of it, they got a much thinner crescent than they thought. Instead of two round balls in contact, that they saw on approach they saw two very flattened lumps. From the approach side the body looked like a small ball sitting on a larger one. 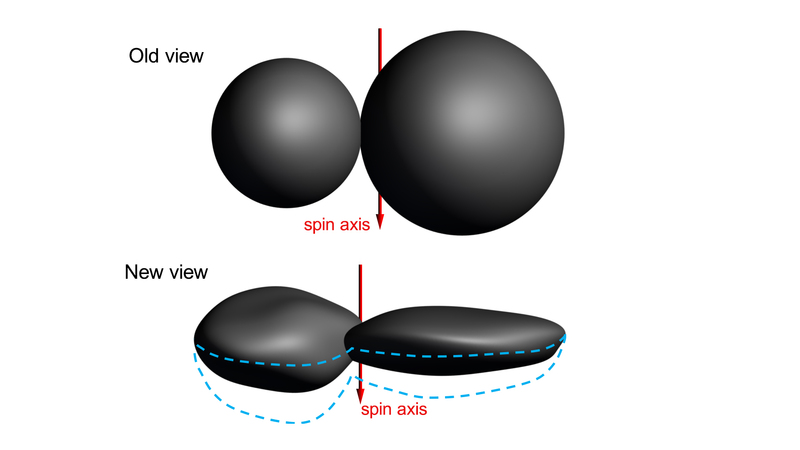 It turns out that the two components of Ultima Thule, named Ultima for the part with the greater diameter and Thule the smaller actually have the same mass. The spin axis runs right through the narrow neck that connects them. That’s their center of mass, or center of gravity. It’s sending planetary scientists back to the blackboard. 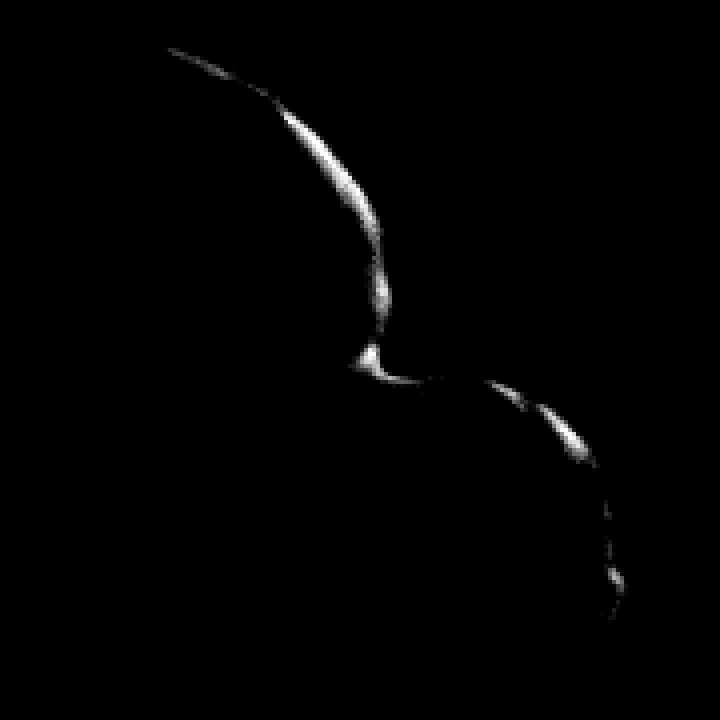 Ultima Thule on approach combining low resolution color image with the high-resolution monochromatic image shows the body in almost true color. Credit NASA/JHUAPL/SwRI. The crescent of Ultima Thule, looking back after closest approach. Credit NASA/JHUAPL/SwRI. Side view of Ultima Thule: Top as it was from the approach images. Bottoms as it actually appears to be. The blue dash lines the limits of what the flattening could be. Credit NASA/JHUAPL/SwRI.